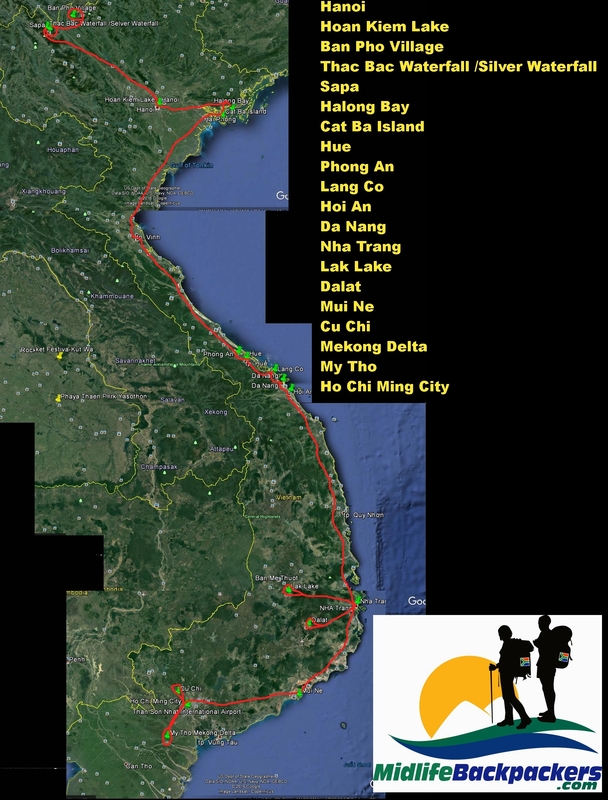 When arriving in Ho Chi Min City by flight from Bangkok, Thailand, we had very little idea as to exactly where we were going to be going in Vietnam. We took reassurance in the fact that traveling from South to North in a long, narrow country could not be to difficult. Prior to leaving our home country of South Africa, we did some online research and found that as South Africans we basically had two options in getting a visa. We could either send our passports to the Vietnamese embassy in Pretoria at quite a hefty cost. We also felt concerned that these may be delayed or lost in transit. After calling the embassy and also realizing that their office hours are very short & limited & they are difficult to get hold of, we felt it best to research the second option. Visas on arrival. A rather tacky looking website, but after some quick online research, we found that they were reliable, cheap & fast. We opted for 3 months singe entry option at around $15 (around R180) for the visa on arrival “invite” letter. This is not an actual visa, but is basically an official invite from a recognised tour operator or travel agent which allows you to go and collect your actual visa in your passport, on arrival at the airport. The actual visa you then receive at the airport will cost you $25 (around R300). The whole process took us less than an hour and was painless. Check out the Vietnamvisapro website for forms & photos you need to bring along.